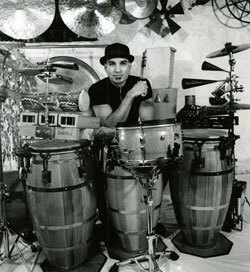 ORLANDO VEGA As a young child, Vega started playing congas and bongo with his father Wil Vega, eventually playing bongos locally with his father’s band, “Wil Vega & Friends” and the teenage band “Son Latino”, and arriving on the New York salsa scene at the age of 18 playing bongos with the legendary, nine time grammy award winner, Eddie Palmieri. 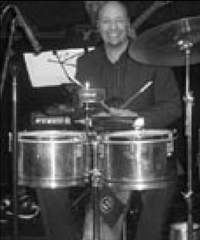 Since then, he continues to work with Palmieri and has traveled the states, South America, and Europe performing with a wide variety of artists including Herman Olivera, Jerry Rivera, Jimmy Bosche, Frankie Negron, Tito Nieves, and Rebel Tumbao. ARTURO STABLE Versatility, good taste, sense of the right volume, timing, and compositional sills are rare attributes to most contemporary percussionists. Arturo Stable has got those and much more. An educator and innovator, Stable has gained invaluable experience performing or recording with such illustrious leaders as Paquito D‘River, Dave Samuels, Terri Lyne Carrington, Esperanza Spalding, Jane Bunnett, David Sanchez, Hector Martignon, Lionel Loueke, Lincoln Goines, Govanni Hidalgo, Miguel Zenon as well as the Philadelphia Symphony Orchestra. He has released four albums as a leader, all featuring his original compositions: 3rd Step (2004), Notes on Canvas (2007), CALL (2010) and Dos y Mas (2012). 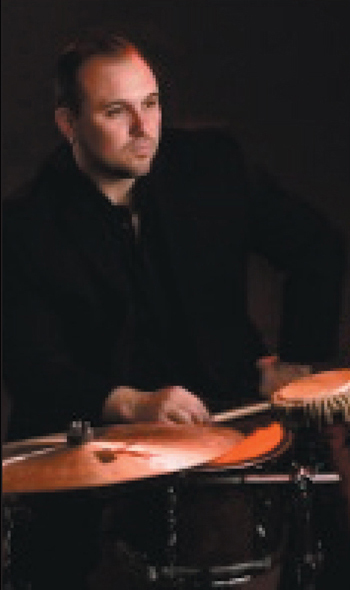 He serves as an endorser of and clinician for Ritmo percussion and he is the chair of Hand Percussion at the University of the Arts in Philadelphia. 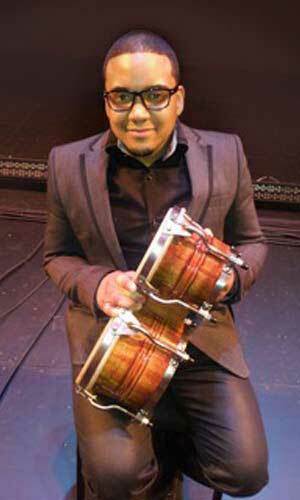 EMEDIN RIVERA blends his latin Caribbean african influences into a wide variety of musical styles, using his own system of playing drums and congas simultaneously, called Percussion Kit and sounding like three people. He is also well known for his own handmade sound effects which have been heard on National Geographic shows. The winner of two Emmy awards for The America Experience and Picture Perfect, both on PBS, Emedin has also performed live with Harry Belafante, Gregory Hines, Paquito De Rivera, Vicky Sue Robinson, Angela Bofill, Gloria Gaynor, Ben E King, Dave Samuels, and Dave Valentine and has recorded live with Larry Coryell, Bob James, Chuck Mangione, Nelson Rangell, Harry Belafonte, Maria Schneider, Rick Cua, Denise Williams, Albert Castiglia ( Keeping on). Emeline Michel ( Reine de Coeur). Blues Council (Let the Healing Begin). Paula Atherton (Inter Play). Lou Watson (Taking a Chance on Love). Thos Shipley (My Favorite Things). Clyde Criner (The Color of Dark) and many others. Movie soundtracks, such as Sixteen Blocks, Tough Turf, End of Night and more, as well as commercials for Anheiser Bush, Crest Toothpaste, Mercedes Benz, Visa, Seven Up, and more. HECTOR ROSADA A musician since childhood, Hector got his big break with Conjunto Creama in 1980s Manhattan. He later toured internationally with David Byrne from the Talking Heads and performed with artists Edgar Joel, Jose Alberto (El Canario), Tito Puente, Celia Cruz, Brenda K. Star, Aretha Franklin, David Valentin, and Hecktor Tricoche. 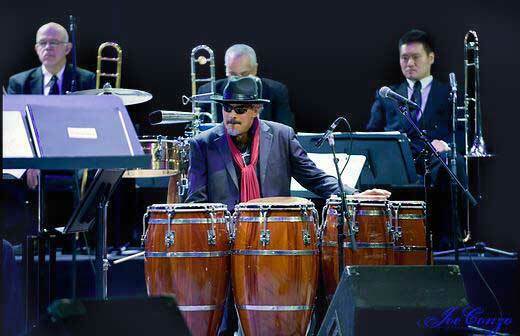 He performs with his own Salsa band Orquesta Hache, and his Latin jazz ensemble Ensemble Siete.